Enjoy a 30% discount on all purchases sitewide from FreedomPop this Fourth of July Independence Day. Use the Coupon Code FIREWORKS30 to activate the offer. Exp. July 6, 2018. Visit FreedomPop website and enjoy great deals such as 20% Off Top Brands' Smartphones, Tablets, & Hotspots. Exp. July 31, 2018. 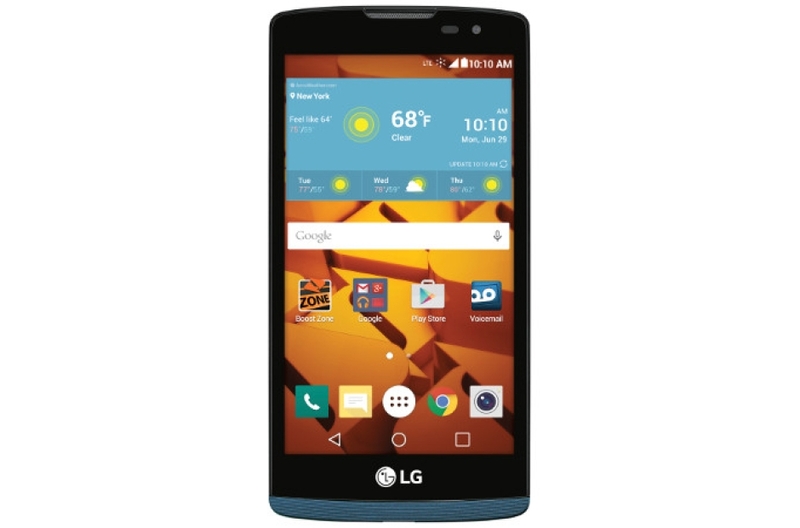 The LG Tribute 2 is a 4.5-inch smartphone featuring 4G LTE, a quad-core processor and 1GB of RAM. Available on the FreedomPop website, the phone comes with amazing no contract monthly wireless plans ranging from 100% free to premium plans. Amongst other features, the LG Tribute comes running an updated Android 5.1 Lollipop that supports more than a million apps on Google Play Store. 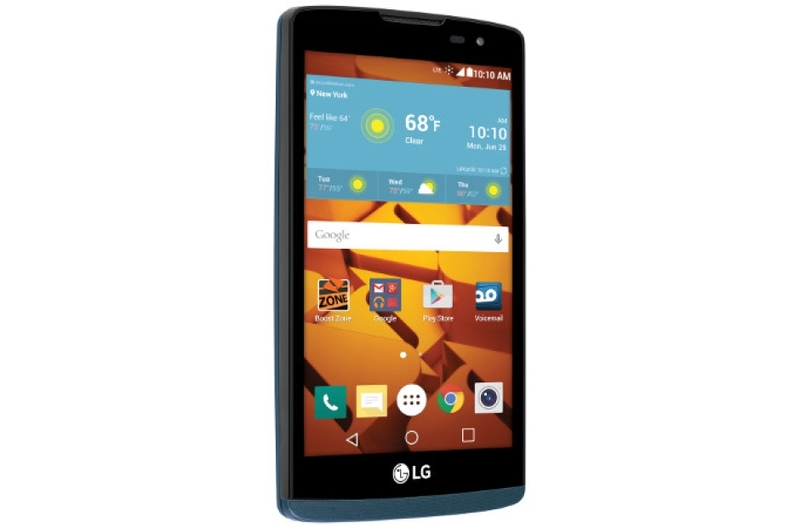 This review details the features and specifications of the LG Tribute 2 including the FreedomPop wireless plans supported. The LG Tribute 2 ships with the necessary accessories to keep your phone up. In the box are the LG Tribute 2, battery, wall adapter charger, service guide and a quick setup guide. The LG Tribute 2 has a great exterior design that looks and feels premium. 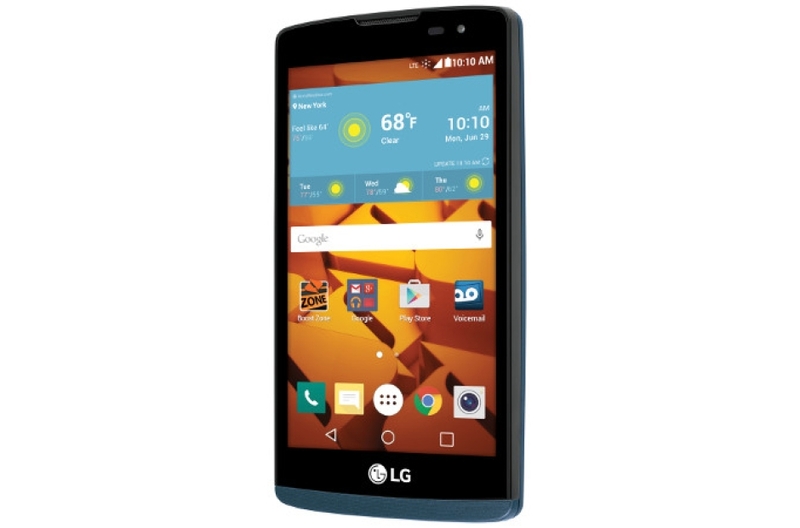 Actually, the Tribute 2 resembles the LG G4, which was the 2015 flagship of LG. The difference comes only in size; while the G4 has a 5.5-inch display, the Tribute 2 is 4.5-inch in size. On the front of the Tribute 2 is the 4.5-inch display. At the upper part of the display, we have a proximity sensor, earpiece, and the front camera lens. The lower part of the display has the floating navigation buttons with a typical arrangement; the back button is on the left, home key at the center and recent apps button on the right. The top edge has the microphone jack while the bottom edge has the charging/micro USB port and your microphone. The left and right edges have no buttons whatsoever. The phone has a textured back panel that feels nice in hand. The back cover is also slightly curved on the edges, making the LG Tribute 2 look like it's curved upwards when placed on a flat surface. The back cover is home to the volume rockers, power button, speaker and camera with its LED flash. Setting buttons on the back panel has become a staple in LG phones; thus making them stand out from other brands. That sums up our tour of the display. The lens on the LG Tribute 2 includes a 5MP back camera and a 0.3MP front camera. Of course, this being a budget smartphone, LG had to go low on the camera pixels to keep the phone's pricing in the lower. Nevertheless, the performance is quite competitive given the phone includes other great features that you will discover as we go along. The back camera has a LED flash to cater for low light environments. The front camera lacks a LED flash, but it comes in handy for selfies in well-lit environments. One great thing I have noticed in LG phones is the camera user interface. It has a very simple interface that includes all the controls you need in Auto Mode. For photographers and users who prefer tweaking and playing around with camera adjustments, the camera has the manual mode. You may adjust the ISO, white balance, HDR, panorama and more. You may also take pictures by voice command. When you turn on the cheese shutter, just say "Smile," "Cheese," "Whisky," or "LG" to take a picture. The camera lets you set a timer if for example, you want to be a part of the picture. The camera allows you to capture photos by using gestures such as raising your open palm or clenched fist then wait for it to detect. The LG Tribute 2 boasts a sharp 4.5-inch display on the front. It's an IPS LCD screen with a resolution of 854x480. In my interaction with the phone, the screen has served me well. Although, not the best out there, the fact that it's an IPS screen is a great thing. The viewing angles are great, and even on outdoor visibility, the screen performs favorably making it easy to see. The screen is also very responsive even to the slightest touches. The battery life on the LG Tribute 2 is average. It comes with 1900mAh of capacity that gives you up to 16 hours of talk time. Since the screen is not the largest out there, the battery can last you a full day of regular usage. The battery is also removable so you can always have a spare battery to swap in case your primary battery runs out. For a budget smartphone, I found the storage on the LG Tribute 2 to be amazing. It has an internal storage capacity of 8GB. It allows room for expansion with an external microSD card of up to 32GB. If you do not plan to have a lot of stuff on the phone, you can easily get by with the 8G. However, for power users, the external 32GB will come in handy. The LG Tribute 2 ships with Android 5.1 Lollipop and the LG Optimus user interface running on top. I found the phone to perform competitively when compared with other phones in the same price range. It's powered by a Qualcomm Snapdragon 1.2GHz quad-core processor and 1GB of RAM. For a $66 phone, these are major resources. When a few apps open in the background, the phone functions smoothly without any noticeable lagging. For matters multitasking, it has a recent apps button to facilitate switching between recently launched apps with ease. The Android 5.1 Lollipop together with the LG Optimus skin shows up smooth animations and fluid navigation and ensures better multitasking. The LG Tribute 2 is 4G LTE enabled, coupled with the quad-core processor; I was able to enjoy faster internet services. Web pages load up quickly, and there's no noticeable buffering when streaming videos or music. The phone has a cool feature that lets you unlock the phone by double tapping on the screen. For security purposes, LG has implemented the 'Knock On' feature that allows you to unlock the phone by tapping in specific areas of the screen which you set. Other typical features the phone comes with include Wi-Fi, GPS, Wi-Fi Direct, Bluetooth 4.1, Accelerometer, Proximity Sensor, FM radio, and compass. Wi-Fi Direct allows fast sharing of files between devices directly over Wi-Fi. Accelerometer enables controlling characters through tilting of the phone. This is a good phone for the price it comes with. Later, we will check out the FreedomPop wireless plans it accommodates. 4.5-inch IPS LCD touch display. Processor: Qualcomm Snapdragon 1.2GHz Quad-core. Internal Memory: 8GB. Expandable via external microSD card of up to 32GB. 5MP back camera. 0.3MP front camera. 100% free monthly basic plan; Unlimited Nationwide Calling and Texting between FreedomPop users, 200 Calling Minutes to all phones, 500 Texts, 500MB Data, No Contract. $13.99 monthly; Unlimited Nationwide Calling and Texting, 500MB Data, No Contract. $22.99 monthly; Unlimited Nationwide Calling and Texting, 1GB Data, No Contract. $24.99 monthly; Unlimited Nationwide Calling and Texting, 2GB Data, No Contract. $29.99 monthly; Unlimited Nationwide Calling and Texting, 3GB Data, No Contract. $34.99 monthly; Unlimited Nationwide Calling and Texting, 4GB Data, No Contract.